Berkeley's police and other city departments hoping to acquire new surveillance technologies will now have to disclose publicly the equipment or software they're seeking to acquire and justify the acquisition before gaining approval. The Berkeley City Council approved a new law last night that subjects surveillance technologies to sweeping civilian oversight, making Berkeley the first city in California to do so. "Last night's unanimous vote by the Berkeley City Council was another strong indicator that citizens are demanding input into how powerful surveillance equipment is used in their community and who gets access to the data," said Brian Hofer, a member of the civil liberties group Oakland Privacy. Under the new law, city departments must show that the benefits of a new surveillance technology outweigh possible harms to privacy and civil liberties, before gaining permission to buy and use these tools. The rules will apply to surveillance cameras, gunshot detection microphones, license plate reader cameras, cellphone tracking devices, and any other devices or systems that "collect audio, electronic, visual, location, thermal, olfactory, biometric, or similar information specifically associated with, or capable of being associated with, any individual or group." Departments must also create policies to govern how surveillance technologies are deployed, who can access the data they collect, and whether and how it's shared with other cities, the state, or federal agencies. On an annual basis, the city will also report how various surveillance tools are used and whether any policies were violated or data was breached and accessed by unauthorized parties. "This was a unanimous vote in support of protecting our privacy," said Sameena Usman, government relations coordinator of the Council on American Islamic Relations San Francisco Bay Area Chapter. "It's important to enact these laws locally because we’re not going to be seeing this kind of direction from the federal government. That’s why we’re taking this local control and deciding how this type technology can be used." Berkeley Mayor Jesse Arreguin tweeted that the council received 193 letters and emails about the ordinance, demonstrating a very high level of public interest in the new law. Hofer said similar ordinances are currently being considered in Davis, Oakland, and by BART. He said local attention to how police obtain and use surveillance technology is an especially important topic that was underscored by the recent revelation that some cities have been feeding license plate scans to ICE through contracts with companies like Vigilant Solutions. 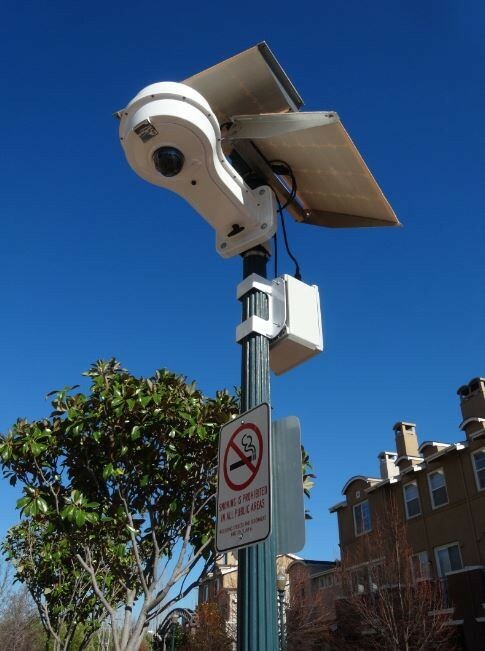 "It was only after a public vetting and discussion occurred that Alameda and Culver City became aware that their license plate reader data could be shared with ICE," Hofer said about two cities that recently voted against license plate reader deployment. "The ordinance adopted by Berkeley ensures that these types of dangerous oversights will be addressed, and that vulnerable communities will be protected." The Berkeley ordinance still requires another vote by the council before it officially takes effect.